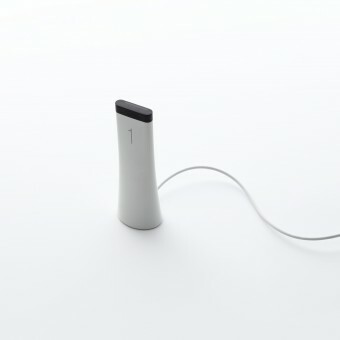 Since Blade’s interactive solution is a part of the end-user’s daily life, aesthetics are integral to the design. 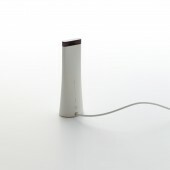 Visually Blade keys off these elements: a solid base that is weighted and provides a heft that gives comfort that the device won’t tip, a historical reference to English bone china that creates a visually appealing and luminous translucence in the white plastic of the device body, and a tapered structure that uses algorithmically smoothed curves to create a distinctive experience that is also difficult for a competitor to emulate. The curving sweep creates a feeling of uplift without predictability that culminates in the solid and satisfying black cap at the top. All of this together leads to a feeling of calm, interest, and harmony. The Blade design team has merged user experience optimization, cost-effectiveness, and aesthetics into a unified design that is both unique and compelling. What is Blade? From a pure solution viewpoint it’s a USB-powered dongle with an embedded user interface that creates a streaming video/audio experience on a big screen TV. However a closer look shows it’s not just another streaming dongle, it’s much more. Blade is ultimately a combination of technology, aesthetics, and practicality that solves real-life problems in a unique, integrated, user-friendly and cost-effective way. The user first connects the device to TV via an HDMI-MHL connector. After this the device is powered by HDMI-MHL cable. Once the device is powered, the user can control the device using an Infra-red based remote control or mobile application. The device connects to the Internet via Wi-Fi, and the device can then download video/audio content and display its graphical user interface on a big screen TV. The project started in May 2014 in Mountain View, CA and Seoul, Korea. It was finished in September 2014. A prototype was shown at the International Broadcasters Consortium (IBC) 2014 to a limited audience. It was further refined for commercial purpose and shown at IBC 2015 to the general public. Current dongle-based streaming solutions optimize for cost rather than user experience, and Blade shows that this tradeoff is unnecessary. Blade combines a premium user experience with low cost and high aesthetics. Current solutions are often hampered by Wi-Fi connectivity issues that cause unneeded content buffering because they are hidden behind TVs and use non-optimal Wi-Fi implementations. They also use excessive cabling that is cumbersome, unattractive, and limits the power to the device, reducing the content format types that can be supported and the speed at which content can be streamed. And finally, the placement of other solutions to the side of or behind TVs where connection ports are located causes poor user interface responsiveness when an end-user tries to interact. 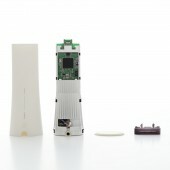 Blade’s direct-printed, dual-band Wi-Fi antenna and unified HDMI-MHL implementation of power source and content output significantly decreases buffering frequency and simplifies the implementation to a single cable without loss of power, increasing the supported content types and streaming speed. Placement of the device in front on the TV in a manner that does not interfere with the viewing experience increases remote control effectiveness and enables the use of more responsive Infra-Red technology—whether it’s via a physical remote control or through a device such as a mobile phone application. On the cost side, Blade’s design principles ensure that its plastic physical parts can be assembled by snapping them together rather than applying screws. This reduces the manufacturing costs that are so key in this tight-margin market to make it cost-competitive to other dongle-based solutions without sacrificing user experience. The device the design team is presenting is categorized with over-the-top, or Internet video streaming devices. There are already multiple devices in the area including Apple TV, Google Chromecast, Amazon FireTV and others. Most of devices, however, located behind the big screen TV, which provides a sub-optimal experience to the end-user in terms of interactivity and streaming experience, and limits brand identity for the content provider. In addressing this problem space the design team benchmarked multiple Internet streaming devices, and decided to design Blade to be visible to end-users so that is easy for service providers to promote their marketing messages and their brand, to provide better end-user experience, and remain cost-effective. Heat dissipation and decent Wi-Fi performance were the most challenging design aspects. The team created a unique mechanical structure at the bottom of the enclosure to flow air naturally from the bottom to the top. To improve Wi-Fi performance even within this small enclosure, we developed a patented DPA (Directed Printed Antenna) within the enclosure. "Set-top box", US D725056 S1, Assignee: OpenTV Inc, 2015, United States. 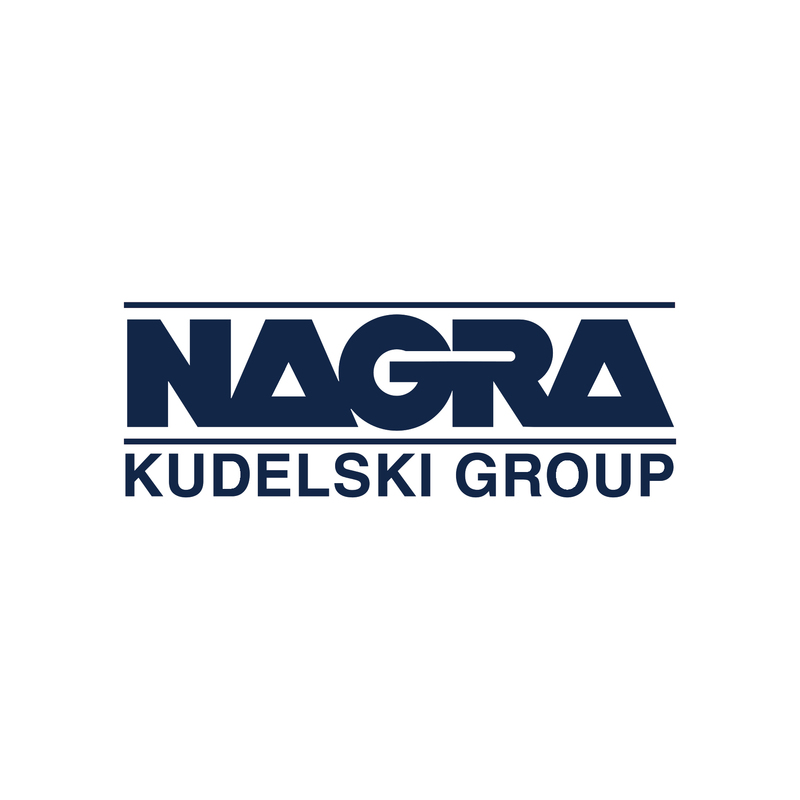 NAGRA is the worldwide leader in secure, end-to-end digital media technologies. Our solutions address the entire digital media ecosystem with a focus on bringing premium entertainment to every screen and helping service providers deliver innovation in their markets. Blade Over-The-Top Set-Top Box by Joonyoung Park is a Nominee in Digital and Electronic Devices Design Category. · Click here to register today inorder to be able to view the profile and other works by Joonyoung Park when results are announced. Blade Over-The-Top Set-Top Box by Joonyoung Park is Winner in Digital and Electronic Devices Design Category, 2015 - 2016. · Press Members: Login or Register to request an exclusive interview with Joonyoung Park. · Click here to register inorder to view the profile and other works by Joonyoung Park. 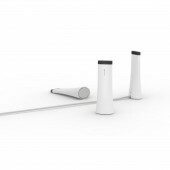 Did you like Joonyoung Park's Consumer Electronics Design? Did you like Blade Over-The-Top Set-Top Box? Help us create a global awareness for good consumer electronics design worldwide. Show your support for Joonyoung Park, the creator of great consumer electronics design by gifting them a nomination ticket so that we could promote more of their great consumer electronics designs.